As of last week, "The Ukrainian" has seen my blog. He still owes me some text so that I can post a long-in-progress entry I wanted to co-write with him. This public acknowledgment will hopefully add some urgency to hurry up and do it, already! Every month or so, my friends and I go out to a restaurant that we take turns choosing. Last month, it was my turn, so without any bias whatsoever, I chose Soi 7 in Downtown LA. 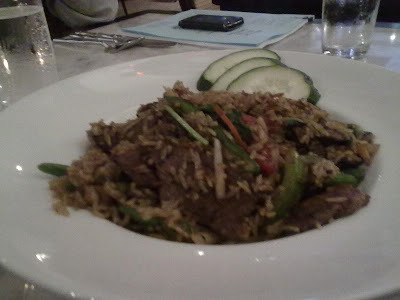 Soi 7 is a Thai fusion restaurant with very reasonable prices. If you're ever on 7th Street and Grand (near were all the busses come in), you should definitely come check it out! Okay, so "without any bias" is a lie -- I have some relation to the owner of this place. Still, an excuse to go to Downtown is always good. On the way there, we saw a bunch of young hipsters walking around art exhibits and going to a slew of food trucks. While I still have not realized my life goal of going to a food truck, I didn't want to do it that way. I don't know... this stuff is what makes me feel as though I REALLY do not fit into the LA culture in spite of the fact I was born there. Anyway, parking around the corner in a huge lot was $3. We made it before 7 PM, which meant $3 off appetizers and $3 beers, but we did not want to sit at the bar. So we took a table and ordered some soup (tom yum and ginger), which I sadly did not take a photo of. At that point, the said-owner recognized me. We chatted for a bit, but he had squid on his hands and had to go. 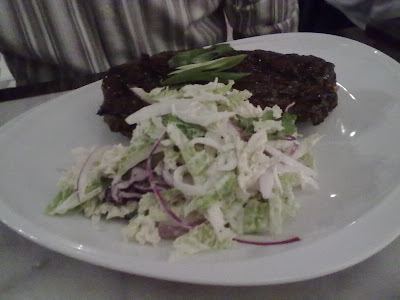 Soon, he gave us a free appetizer (crab cakes, which I did not take a pic of -- I know, bad me!). The reviews were positive, though I did not partake. Above: Vegetarian tofu pad thai. Apologies that I used my camera phone... just didn't want to create a ruckus in the restaurant considering the extra attention that our table was already getting. 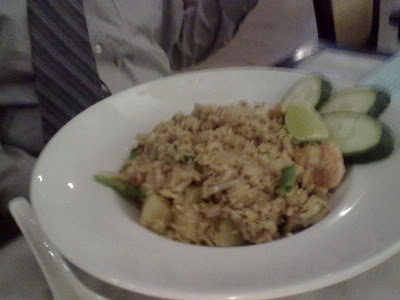 Above: Fried rice... there's pineapple in there! When the food arrived, we were all genuinely blown away by the yumminess of all of it. 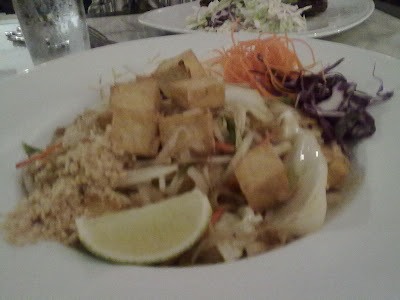 Since I had been there before, I resorted to my vegetarian tofu pad thai, which was a bit "al dente" but had great limey flavor, ample peanuts, and nicely fried tofu. "The Ukrainian" ordered some ribs... these ribs are fall-off-the-bone good. While I didn't try it, it DID come with good coleslaw. The Councilman liked them as well. The Councilman and BFF got two different fried rice dishes, and they were both really good. Especially the BFF's basil fried rice. We all thought it was amazing. 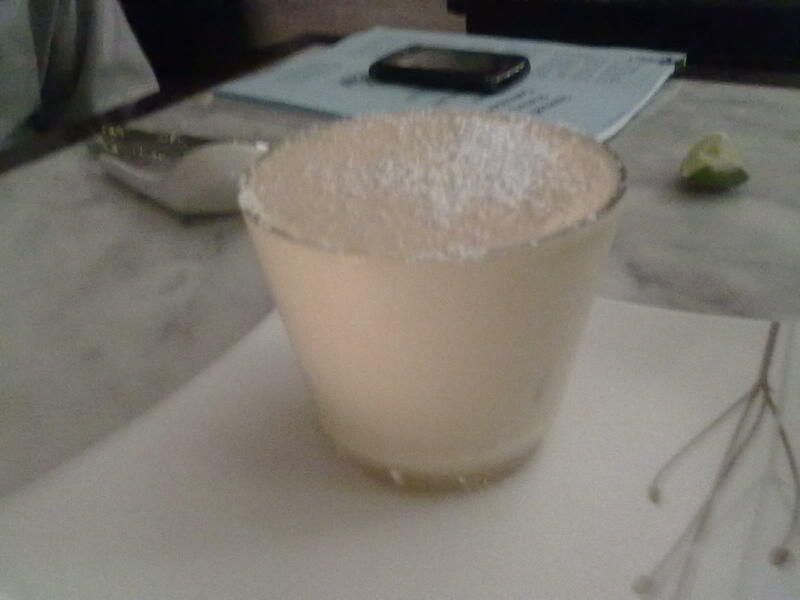 We were treated to dessert, which we normally wouldn't have ordered. Say hello to coconut creme brulee and Thai tea tiramisu. Although my dairy-intolerant self was hesitant, I'm so glad I tried both. The creme brulee was a hit with all... it had a great coconut flavor under a nice shell. 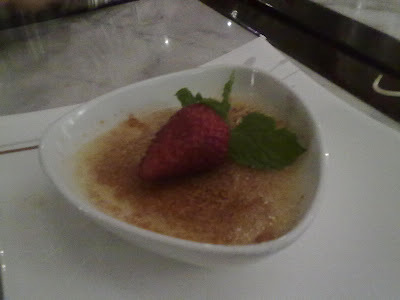 I really liked the Thai tea tiramisu... it was cold, creamy, and definitely an interesting concept. I thought it could have used more ladyfingers (or whatever they were using as the solid component), but it was really great nonetheless with a subtle coffee(?) flavor at the bottom. Above: Thai tea tiramisu -- cool, eh? Finally, The Councilman insisted that we go to one of his favorite bars (Seven Grand), where he made us all have whiskey. Ugh, gross! Even the "sour" version was virtually undrinkable and tasted like something that humans should not consume. I shared mine with the BFF. Sounds like a fun night. Although I wouldnt be able to do the whiskey either.